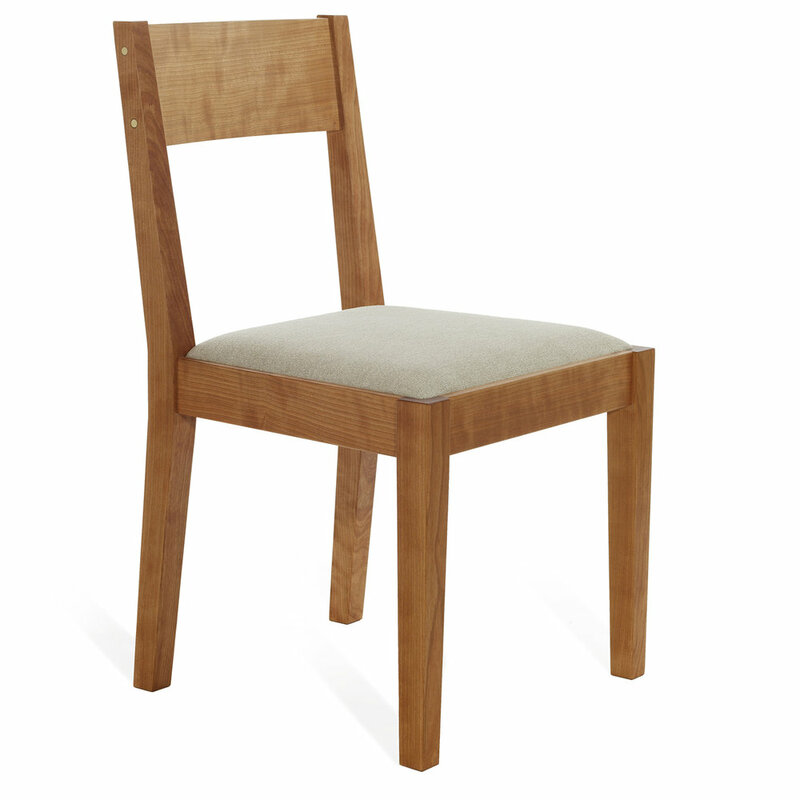 Our classic dining chair has a slight curve to support your back and a timeless appeal. Simple, comfortable, beautiful. 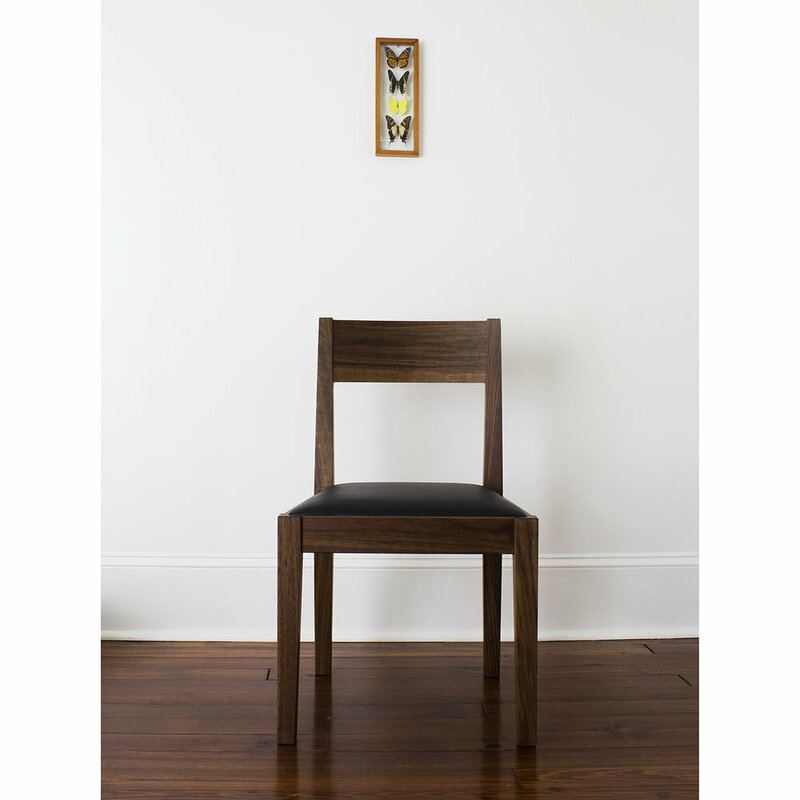 Solid wood frame with uphosltered seat. Available in different woods and finishes with stainless steel or brass accents.